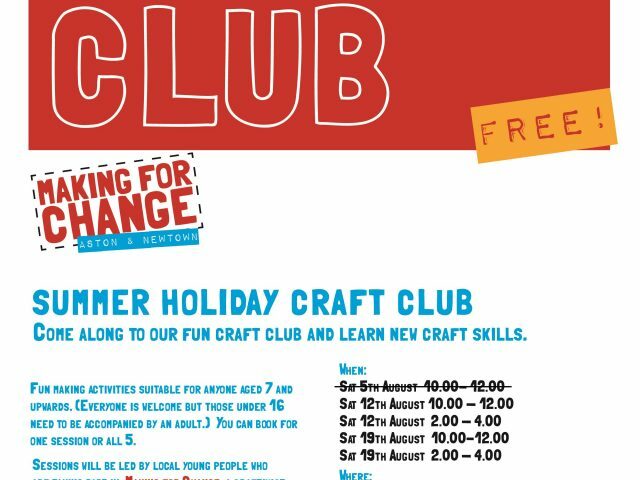 Making for Change Blog | Summer Craft Club! 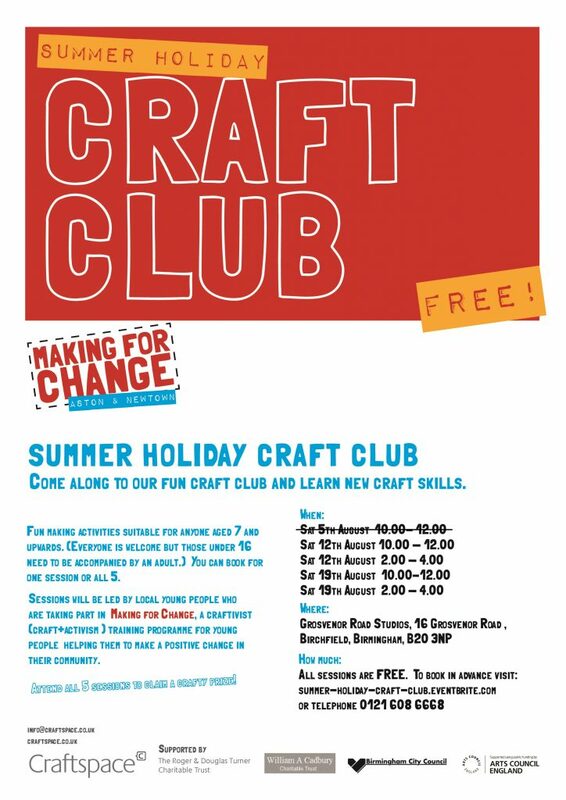 10 Aug Summer Craft Club! Come along to our fun craft club and learn new skills. You can book for one session or all 5. Sessions will be led by local young people who are taking part in Making for Change, a craftivist (craft + activism) training programme for young people helping them to make a positive change in their community. Attend all 5 sessions to claim a crafty prize! All sessions are FREE. Book in advance through eventbrite ( https://goo.gl/MD3rM7 ) or telephone 0121 608 6668.